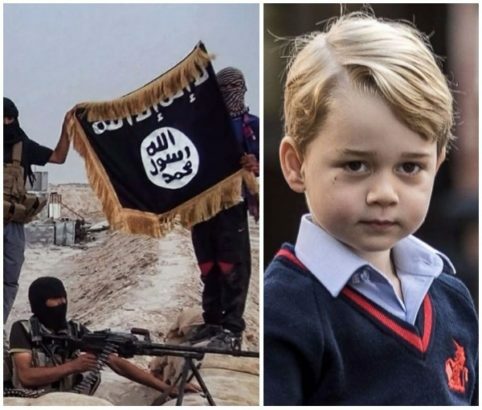 ISIS has reportedly threatened to kill Prince George of Cambridge at his school. According to claims reported by MirrorUK, vile messages referencing the royal family were spotted on the secretive messaging service Telegram. Prince George is the elder child and only son of Prince William, Duke of Cambridge, and Kate Middleton, Duchess of Cambridge. He is third in line of succession to the British throne, after his paternal grandfather, and father. Islamic extremists favour Telegram because messages are encrypted and keep the user’s location hidden. On one well-known ISIS channel, a picture was posted of George next to his new school in Battesea, London,with the caption “School starts early”. Concerns about security at George’s school have already been raised after a woman filmed herself wandering the corridors unchallenged days before term started. The Metropolitan Police said it would be reviewing security arrangements at the school as a result, reports MirrorUK.